An annual contract offering same-day replacement of essential EPoS equipment. 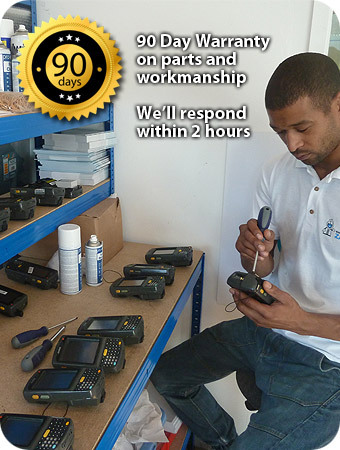 Faulty hardware is then repaired, rigorously tested and added to your Gold equipment stock. Also on an annual basis, our 3-5 Day Repair contract takes the headaches out of faults and repairs. One phonecall or email from you and we’ll take care of the rest – collection, repair, testing and return to you in fully working order within five days, usually faster. Benefit from our technical expertise (and unequalled access to spares for current and legacy equipment) without the commitment of an annual contract. Fire over details of your hardware problem and we’ll respond within 2 hours with a clear, concise quote to put it right. Better still, all repairs are covered by a 90 day warranty on all parts and workmanship – giving you faster service, cost-effective repairs and complete peace of mind.